I’m currently designing my first delta 3D printer. It’s based on Johann Rochell’s Kossel Mini, but I’ve modified or redesigned just about every part, except for the bottom vertices. The first design decision I made was to get rid of the expensive linear rails and sloppy Traxx joints. 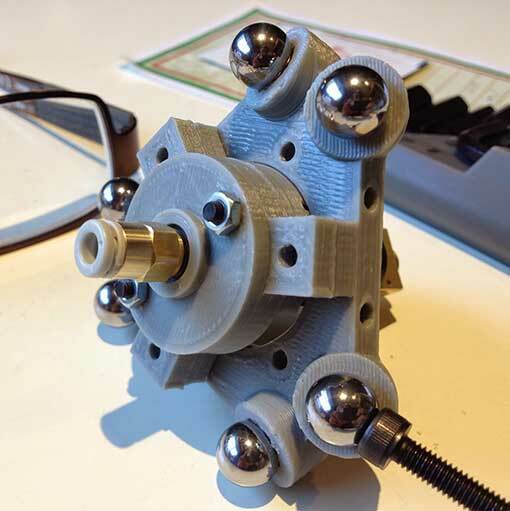 I like the magnetic ball joint concept, because 1) it gets rid of backlash 2) it makes it easier to assemble/reconfigure/repair the printer and 3) it’s just plain cool. The 3/8″ chrome steel balls are each held to the effector by a 3/8×1/8″ N42 countersunk magnet stacked on top of a 3/8×1/8″ N52 disc magnet. 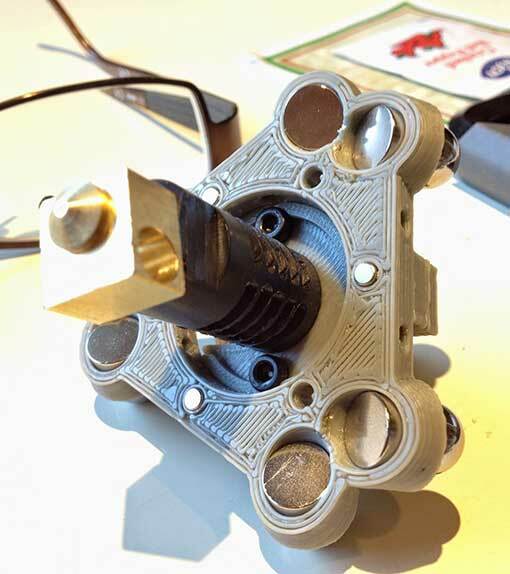 It’s hard to see in the photo, but 3 of the six holes around the inner ring contain 1/8×1/4″ tubular magnets, allowing the toolhead to also be magnetically attached. This will allow me to quickly change toolheads on the effector without having to fiddle with bolts. 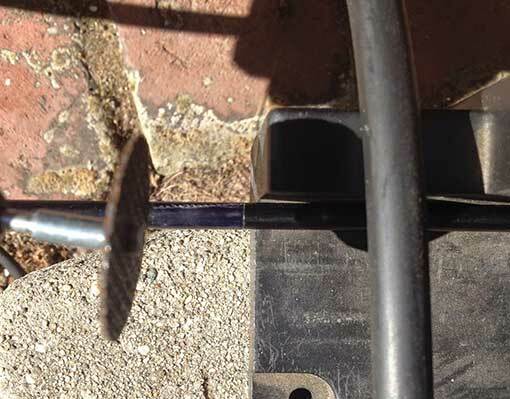 I am still not sure if the toolhead magnets will be strong enough… only testing will tell. Though quick change could be done by simply swapping out effectors, I don’t like that idea for two reasons: 1) it’s more expensive and 2) different effectors will not be exactly the same, since they are printed, and can also warp, necessitating tweaking every time the effector is swapped. The most difficult problem was how to attach the chrome steel balls to my carbon fiber arms. Rather than glue the balls directly to the arms, I decided to attach the balls to screws, and then screw them into the arms. 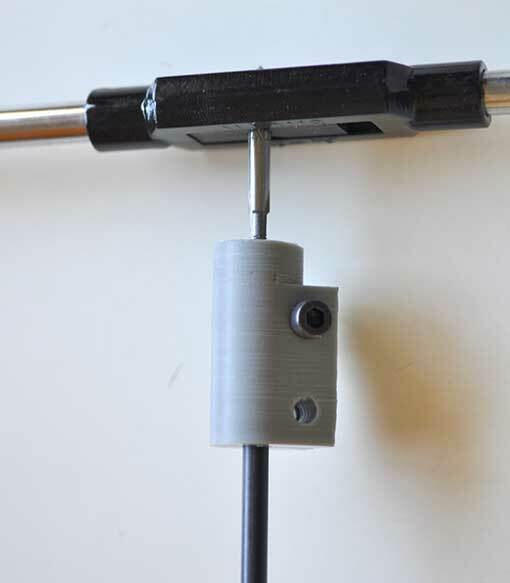 This technique has 3 advantages: 1) it gets rid of the need for accurate, square cuts on the rods, because the length can be fine-tuned by adjusting the screws , 2) the balls are easily replaced, and 3) the screw heads are magnetic, so they self-center and hold themselves to the balls while they’re being attached. 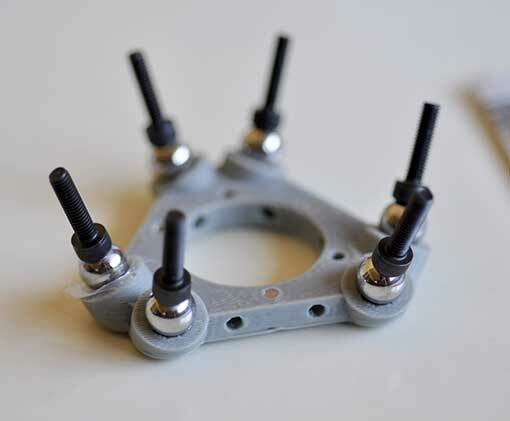 It was very convenient to glue the M4 hex head cap screws by simply first attaching the balls to the magnets. No clamping needed while the glue dried. I tested both for strength, and was not able to pull either of the screws off the balls by hand. Therefore, I decided to go with the super glue, because it’s easier to deal with since it dries in only a few minutes, rather than overnight, and there’s no messy mixing needed. In order to get a good bond, I first scuffed up the bolt head with some sandpaper. Then I cleaned both the bolt head and the steel ball with acetone before applying the super glue. After the glue dried, I tested the strength of each joint. 3 of them were weak enough that I could break the ball off, but after re-gluing them, they were just as strong as the others. Another advantage of using super glue was that it dissolves easily in acetone, so it was very to clean off the residual glue before re-gluing the failed joints. I bought some UHMW tape to try out, but it’s 7mil thick, and noticeably reduces the attraction between the ball and countersunk magnet. I’m thinking of trying out PTFE mouse tape next (it’s only about 2mil thick), but am afraid that it might be too soft, and wear down quickly. Surprisingly, regular old Scotch tape seems to work OK (it’s about 2mil thick), so that’s another alternative to try. 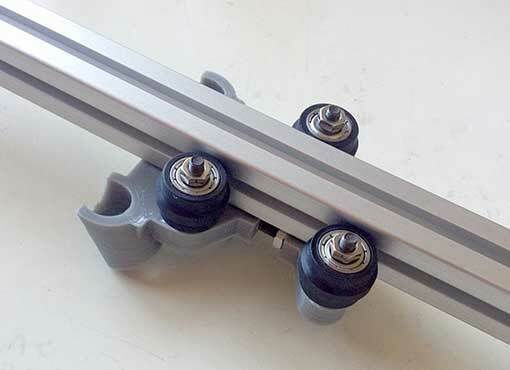 The vertical bolt running up the right side is the tensioner. I was delighted that the carriage appears to be rock solid. I was expecting to have to refine it a few times, but my first try seems to be pretty good. We’ll see once I get the printer up and running if I’m right. I bought the roller wheels from deltaprintr. I am not entirely happy with the deltaprintr wheels for two reasons: 1) some of them have minor flat spots, so the movement isn’t perfectly smooth, and 2) there’s no internal shim between the bearings, to keep the lateral load off the ball bearings when you tighten them down (unlike makerslide wheels), so the bearings bind a bit when you try to tighten them down. Also, the bearings will wear out faster. Note that the designs I described above are preliminary, because I am not yet finished building the printer. There are bound to be changes once I start testing it. 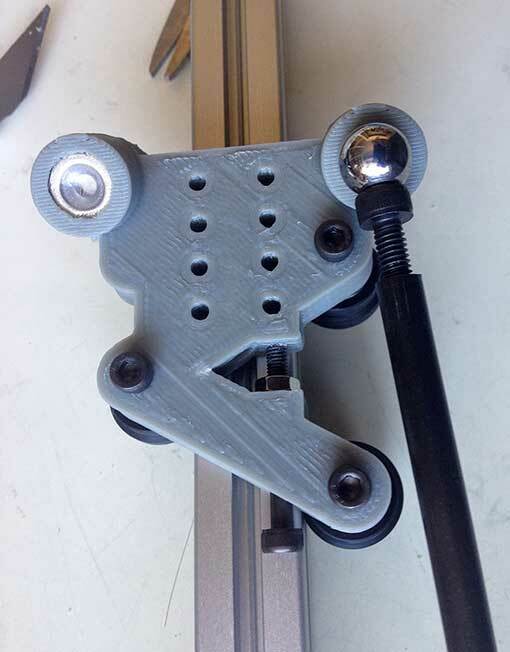 There are 14 Comments to "Kossel-Linco Delta Printer: Part 1 – Magnetic Effector and Arms + Vertical Carriage"
I have just made a Kossell from a kit. 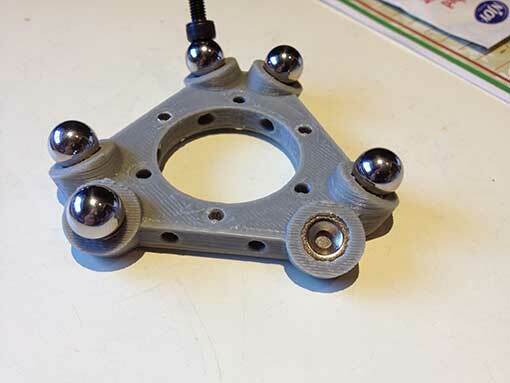 I wonder how magnetic ball joints compare weightwise? It is a bit heavier than I expected. 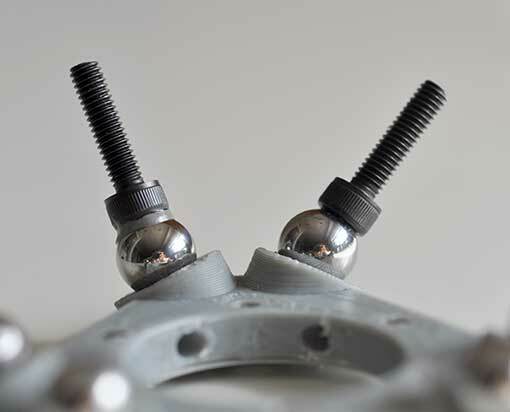 Each set of M4 bolt,steel ball, disc magnet, and countersunk magnet weighs 8.7g. I am actually using a jam nut instead of nyloc, because I only have 10 nylocs in house. Nice work on the magnetic joints. 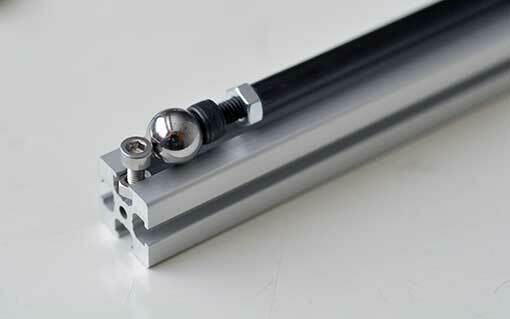 We have both independently designed the same system, though mine uses 12mm ball bearings and M5 cap screws. I dished the tops of my cap screws with a 12mm ball nose cutter in a drill press, and then soldered them to the balls. Its quite easy to solder them if you have a small butane torch to heat the whole assembly up and then just feed some solder in. Super glue should do the trick too, it only has to hold as tight as the magnets. Sounds like a great setup. Have you gotten your printer working yet? I’m still trying to calibrate mine. I couldn’t solder my balls because they’re chrome steel, so the solder doesn’t stick to them at all. I am 99% running but I’m having problems with my jhead jamming. Im running 3mm filament into an 0.35mm nozzle and the filament melts in the barrel because it moves so slowly through the hot end. Loving the post! I specially like glueing section comparing JB with superglue, a year ago i decided to go with JB. 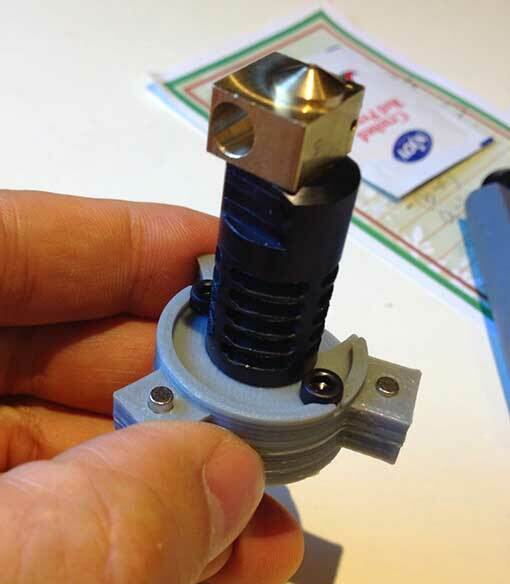 But definitely superglue is way cleaner I will give it a try for my next printer! 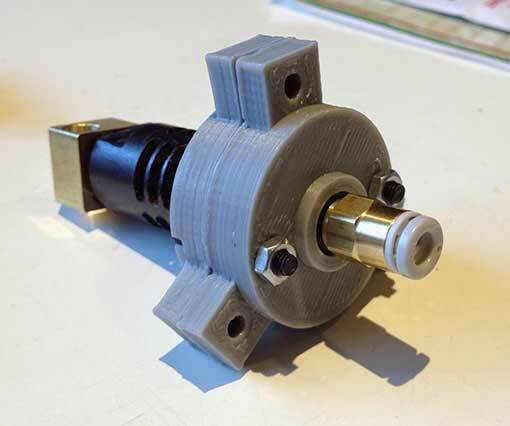 Is there any way I could convince you to put up these scad files on github or thingiverse? I’m in love with this design and I’d like to implement it myself. OK, I just uploaded everything to youmagine. Sorry, no time to document anything at this time, but feel free to ask questions here. I am interested in your stl filres, if you are willing to share them. I can’t find them on YouMagazine. Can you share them in another way? I’d like to try out your carriage design with my Delta Mini but can’t seem to locate the STL files. I tried the “youimagine” link but couldn’t find anything. Is there an updated location of your source models? The link you provided to youimagine just leads to the main page. I would really like to use your effector design if you wouldn’t mind. I went with all of your magnet dimensions so it would save me a lot of time in designing a new one. FWIW Loctite only bonds to metal so wouldn’t work for the carbon fiber. There’s a plastic version ($25/tiny bottle) but not sure how that work with carbon fiber resin.